Does William Know Jamie Is His Father in Outlander? 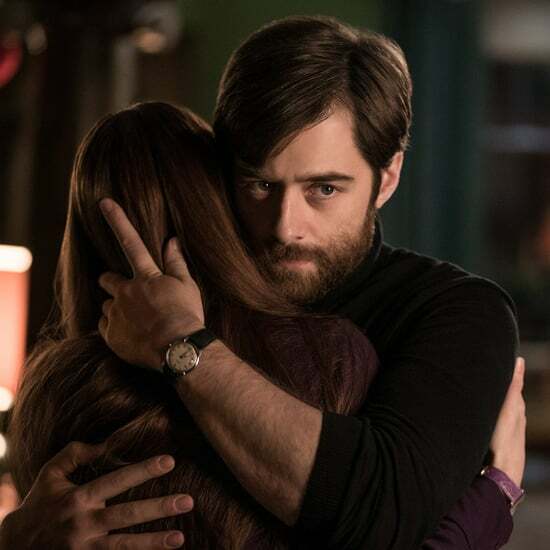 During the Dec. 9 episode of Outlander, appropriately titled "Blood of My Blood," Jamie (Sam Heughan) welcomes a couple of unexpected visitors at Fraser's Ridge, which leads to a number of poignant, emotional scenes — scenes that Heughan told POPSUGAR that he was particularly excited to film in season four. 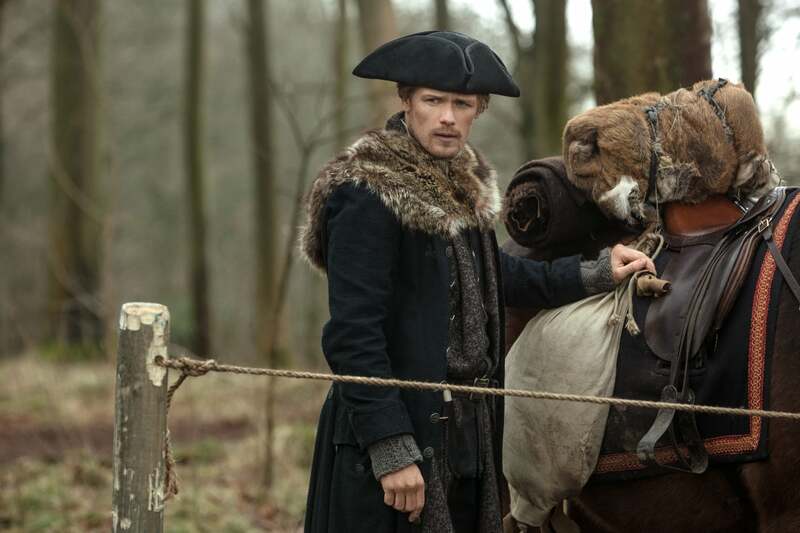 Read on to find out exactly what went down and Heughan's interpretation of the events, but be warned: spoilers ahead for episode six and light spoilers from the books. 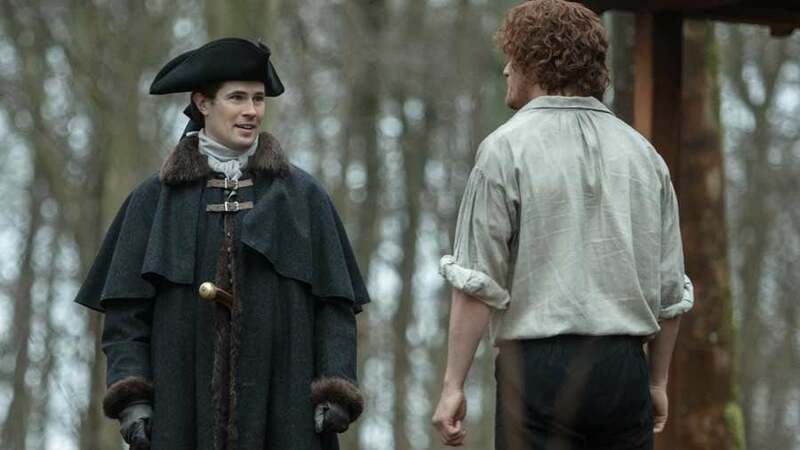 In "Blood of My Blood," Lord John Grey (David Berry) makes a stop at Jamie and Claire's homestead on his way to Lynchburg, VA, bringing his adopted son, William (Oliver Finnegan) with him. 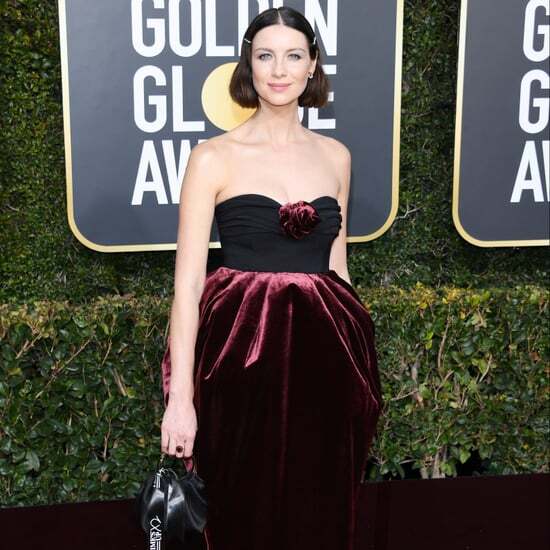 Of course, John, Claire, Jamie, and the viewers all know that William's biological father is Jamie himself, from when young Geneva Dunsany (Hannah James) blackmailed him into sleeping with her while he was working at her estate. But young William is still under the impression that his biological father is the late Ludovic Ransom, Eighth Earl of Ellesmere (James Cameron Stewart). When Lord John falls ill with the measles, Jamie takes William on a little father-son camping trip, though all William remembers of Jamie is that he worked as the groom at William's estate. 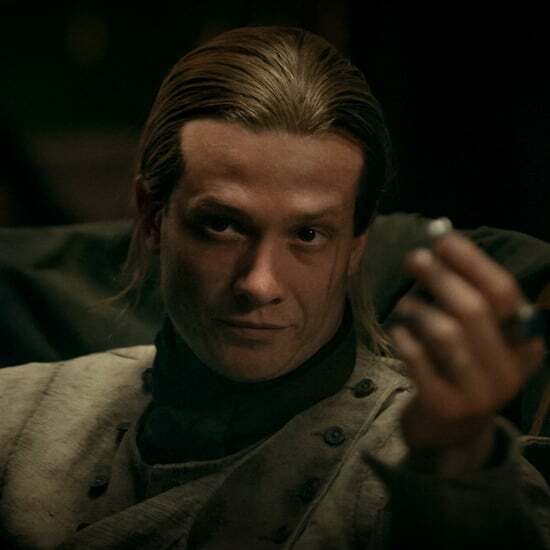 But when William wanders into Cherokee territory and tries to take a speared fish, he is threatened by some hostile locals and Jamie is forced to blurt out that he is William's father and the Cherokee should take his blood instead of the boy's. Willie shows great bravery when he admits that Jamie is "lying" (because as far as Willie knows, he is) and says he alone is responsible for stealing the fish. The Cherokee let him live, making only a small cut as payment and leaving the two with a warning. 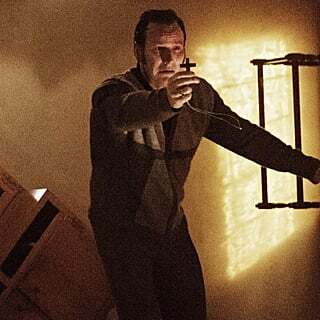 But the entire encounter gets William's wheels turning about the possible identity of his father. He later asks Jamie why he did not look back at him as he rode away from Helwater in season three, to which Jamie replies that he didn't want to give either of them false hope about seeing each other again. 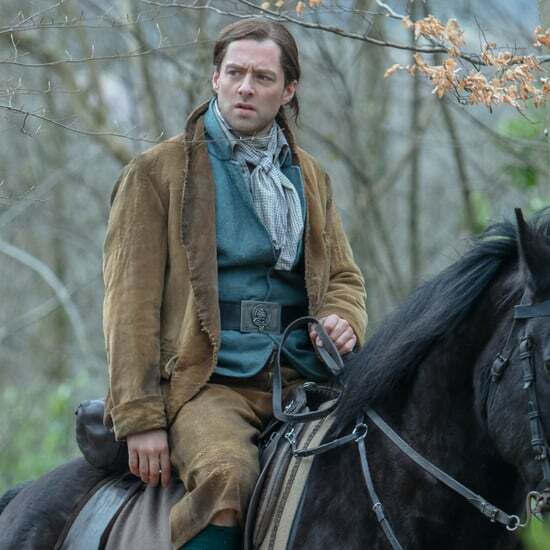 So, when William rides away from Fraser's Ridge, he makes sure to look back at Jamie; it's then that one must wonder if William has put it together that he's actually Jamie's son. Since we're desperate to know the answer ourselves, we turned to an expert on Jamie and Willie's relationship: Sam Heughan. 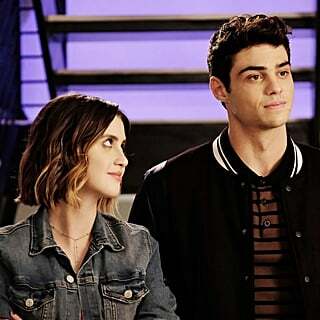 The actor told us in an interview that he thinks William knows on some level, and that this episode is one of the things he was most looking forward to filming in season four. "The stuff with Willie, for me and for Jamie, was really interesting stuff, to see where that relationship has gone to and developed," says Heughan, adding that there was definitely "an awakening in Willie as to who his father might actually be." "I was always looking forward to John Grey coming back, [and] I was definitely looking forward to those scenes," he said. "[David Berry and Oliver Finnegan] are great actors as well, so it was a nice side story for Jamie and Claire this season." It will be interesting to see where the show continues to take the Jamie-John-William relationship. 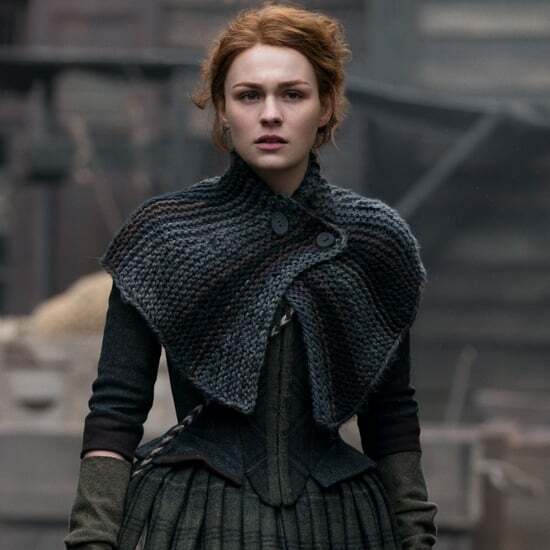 In the books, William is not seen again until late in Diana Gabaldon's sixth novel in the series, A Breath of Snow and Ashes, when the then-18-year-old soldier meets his half-sister, Brianna (Sophie Skelton). While Brianna knows who William is, William does not yet know that Jamie is his father and that Brianna is his sister. 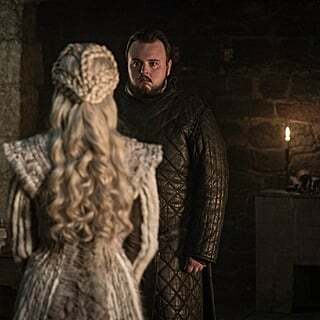 He doesn't discover the connection until late in book seven, when he finds himself in Jamie's company and finally sees the resemblance between them. 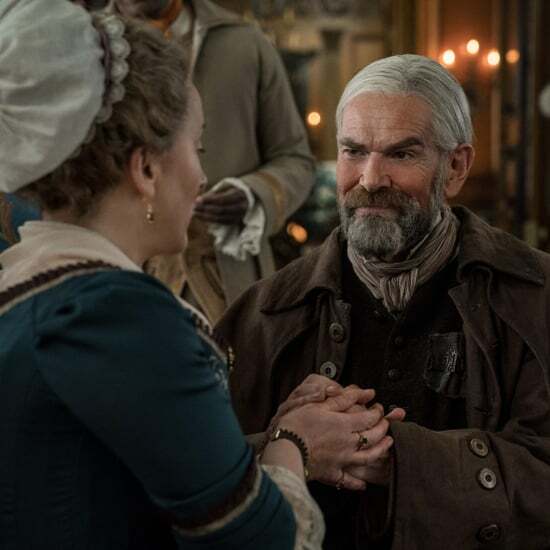 While Outlander has been renewed for seasons five and six, there is no word for any seasons beyond that, so perhaps the show wants to move up the William-Jamie timeline a bit and this most recent episode planted the seeds for that.